Flat 4, Richton is presented to the market in excellent condition with spacious rooms as a two storey apartment. Just five minutes from the town centre and moments away from the amenities of Trinity Square. 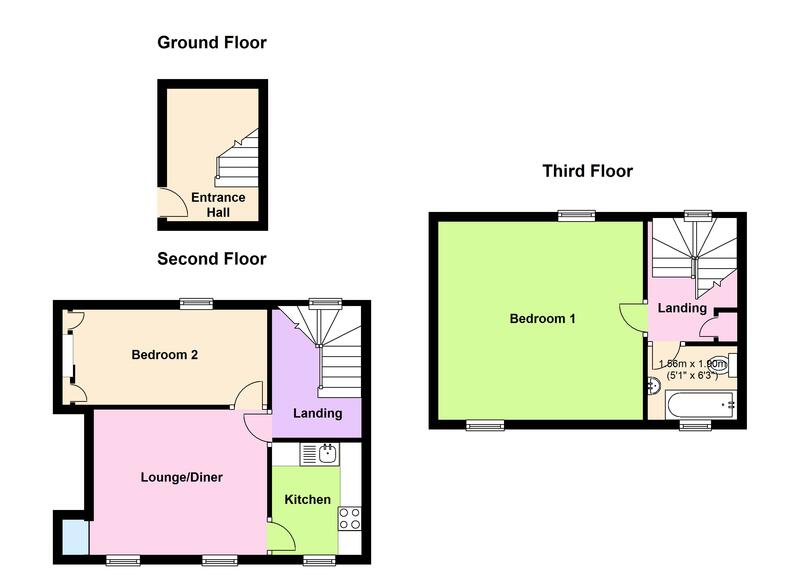 Accommodation comprises of lounge/diner, kitchen, two double bedrooms and a bathroom. There is good on street parking immediately outside and rented parking nearby. This would be an ideal opportunity for first time buyers or as a buy-to-let investment. Call Cranfords today to book your viewing on 243878! 8'9'' x 11'10'' Max. Appliances include a brand new Cooke & Lewis oven and ceramic hob. Service fee currently £40 per month.